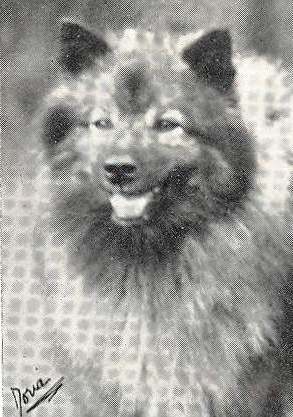 In 1931 Lt.Col. 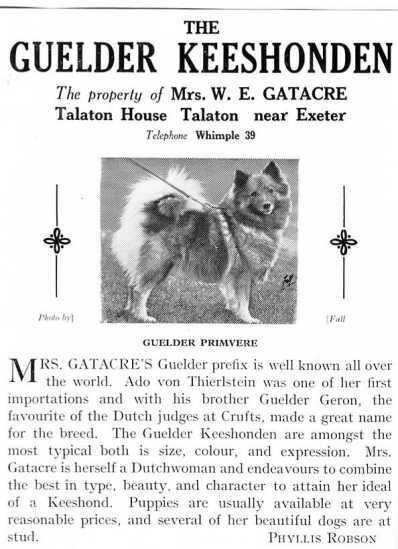 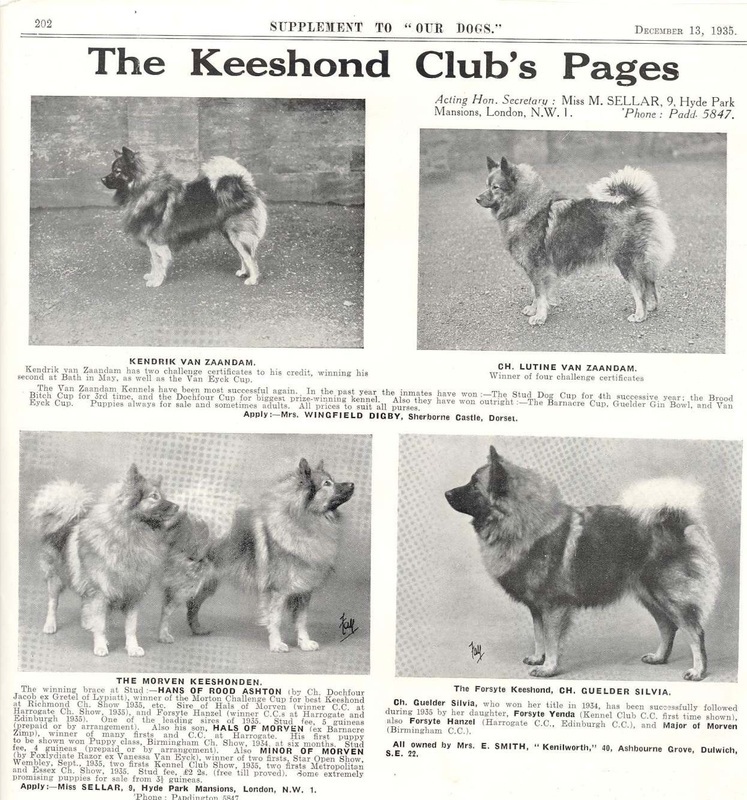 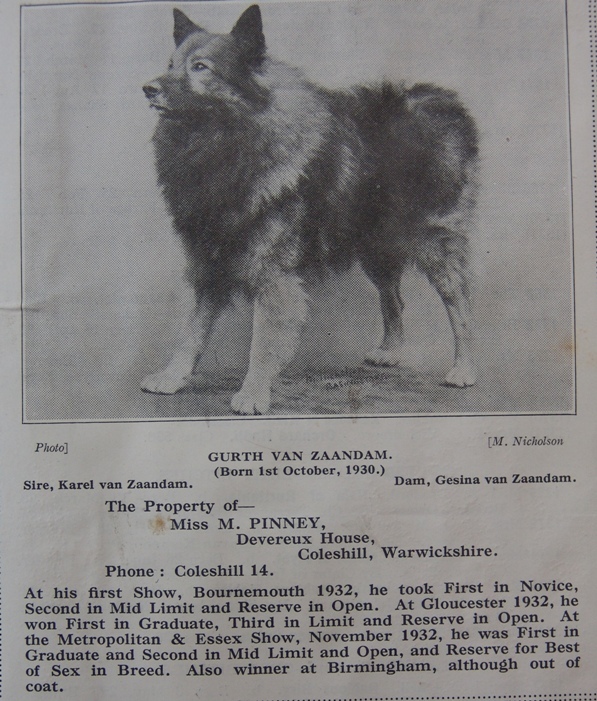 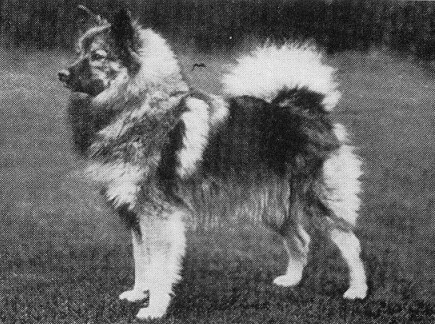 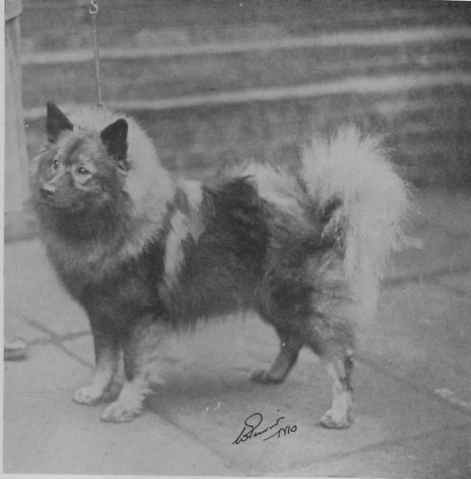 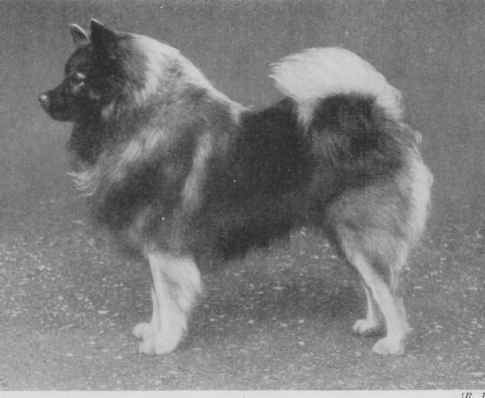 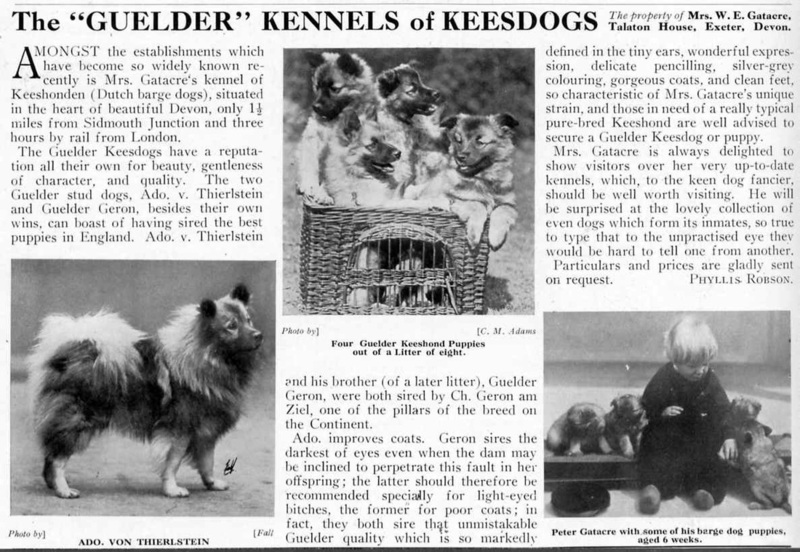 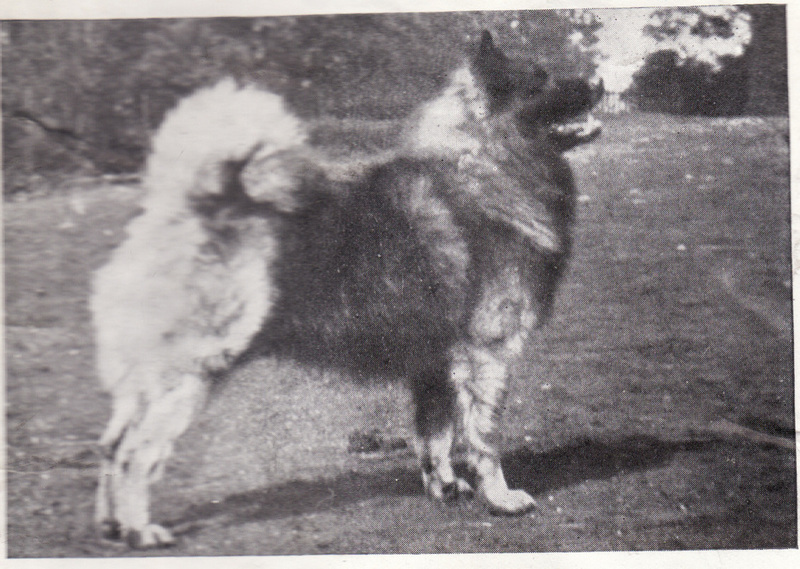 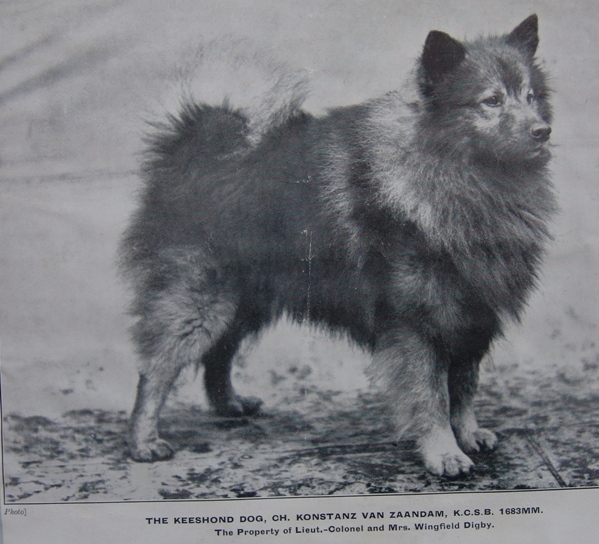 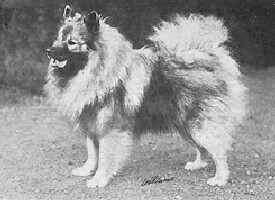 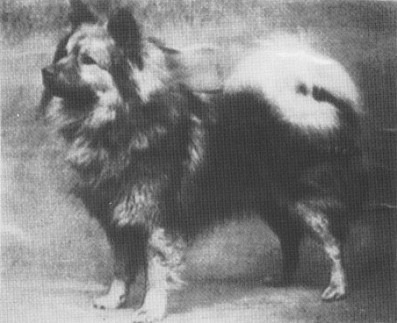 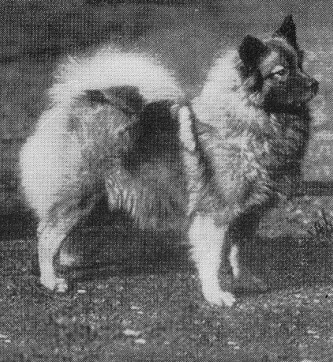 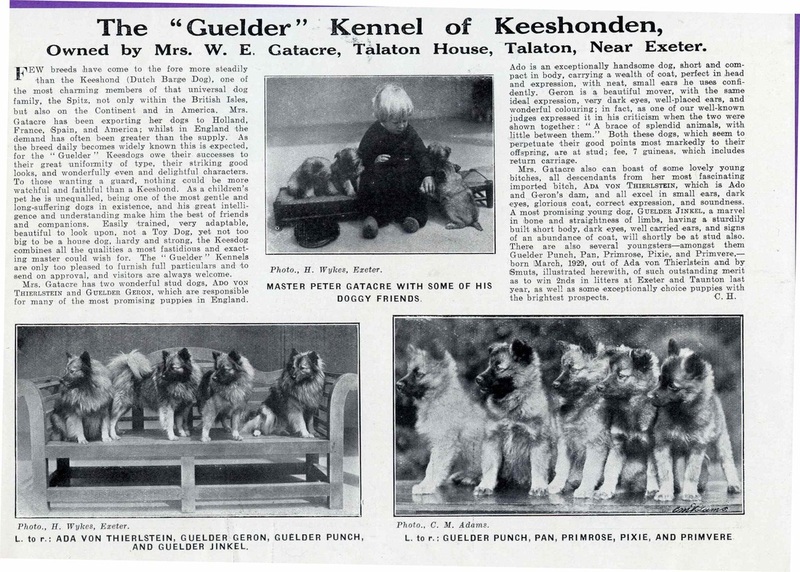 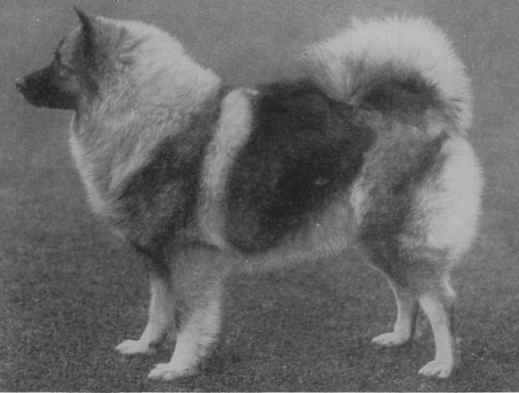 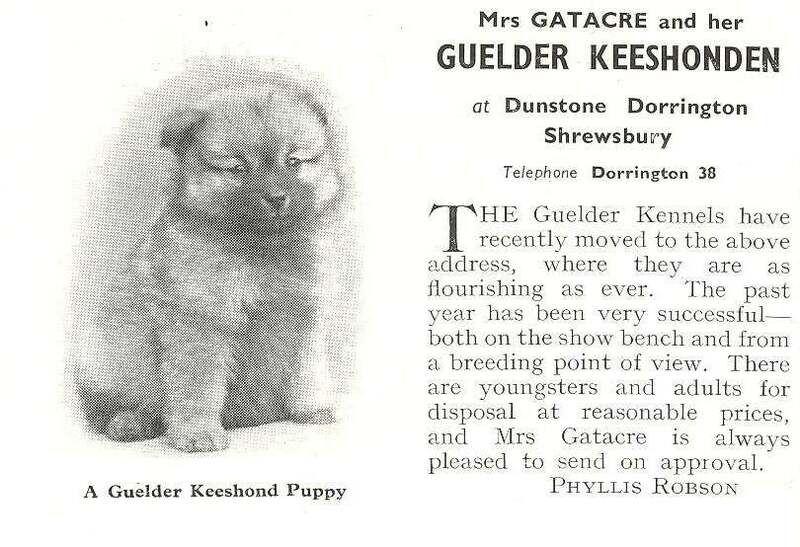 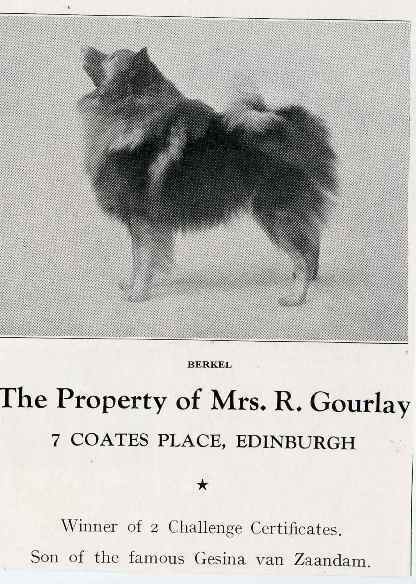 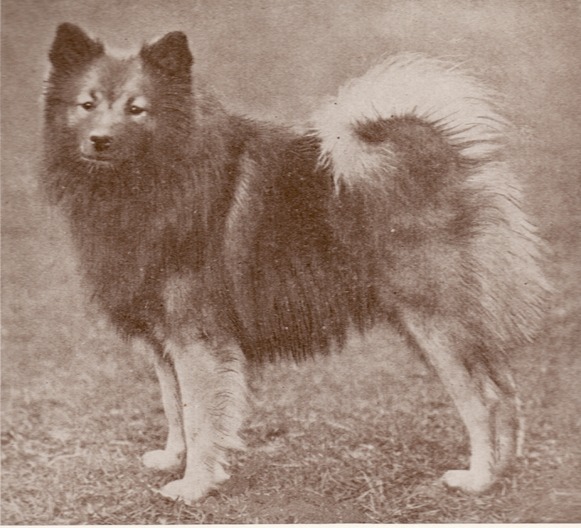 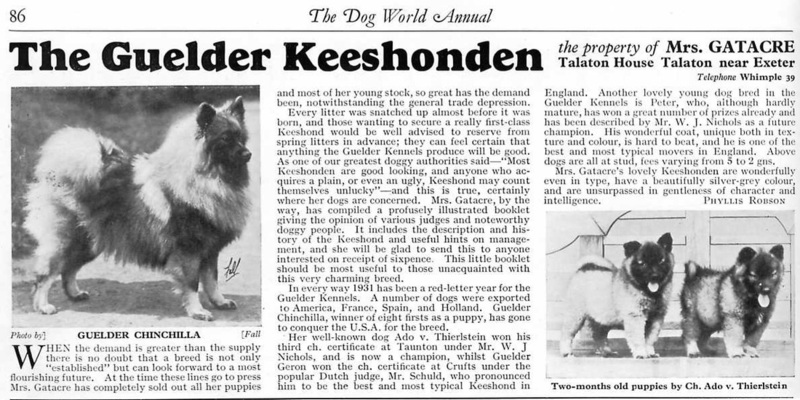 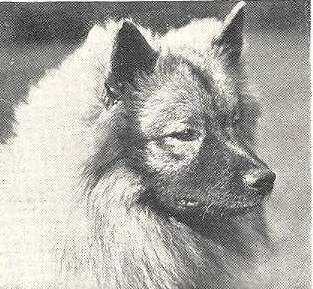 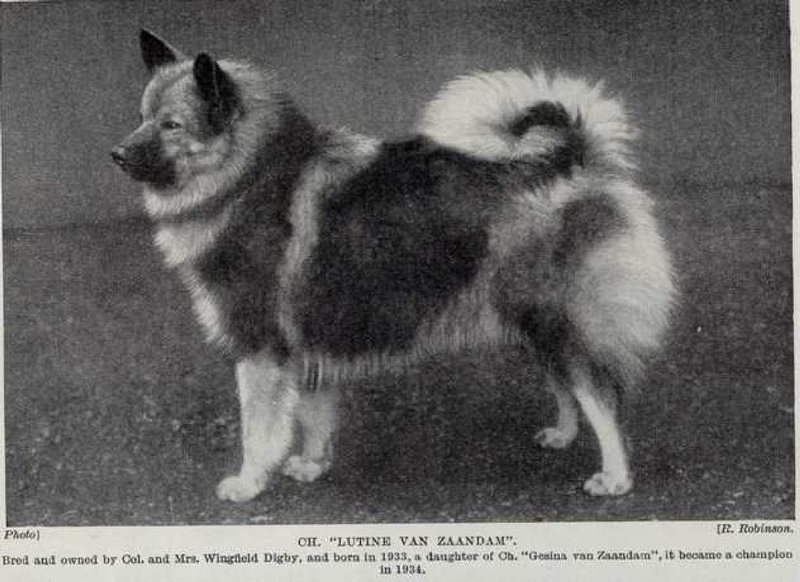 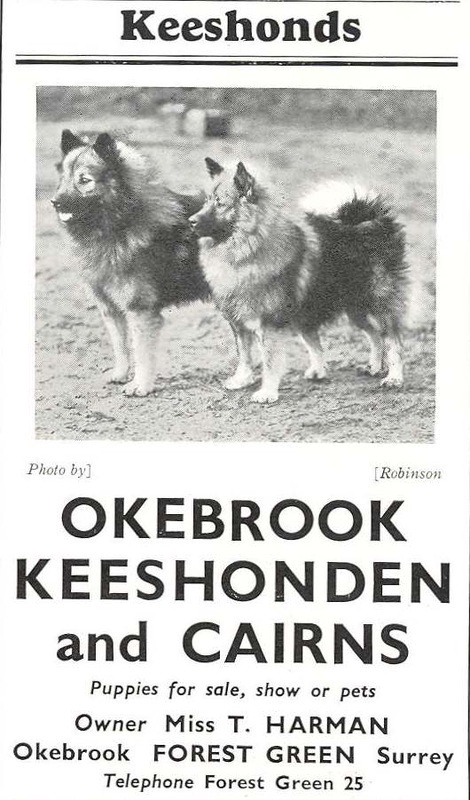 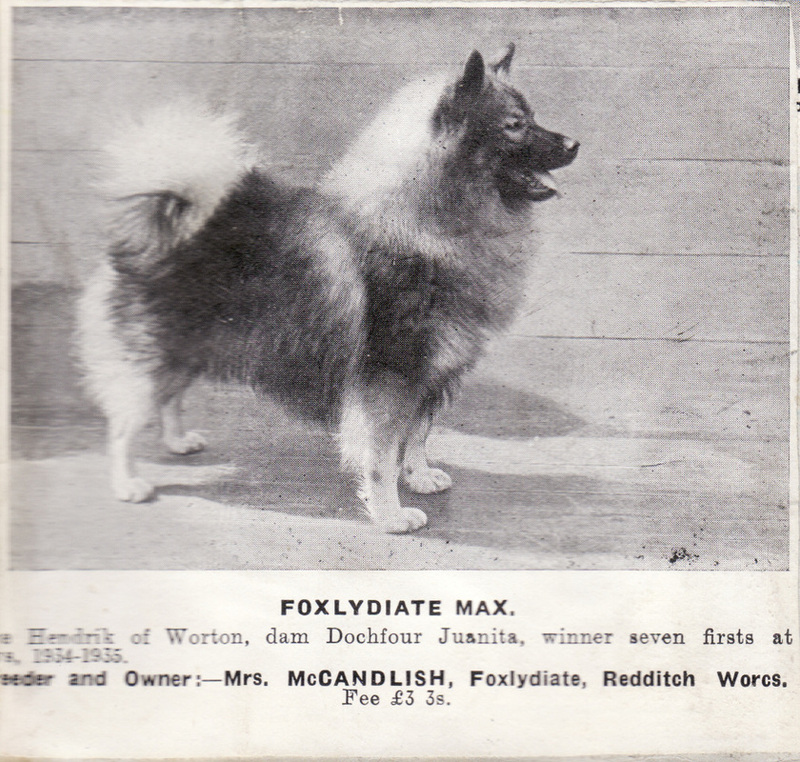 Wingfield Digby, judging at Birmingham, said “Now that keeshonden are becoming more popular in England we should be careful not to let them get too large, bearing in mind they are essentially house dogs; at the same time we do not want to see too much of the Pom in them.” Alice Gatacre, in her notes for the Christmas edition of Our Dogs, notes that “the breed has become quite established in England now, and several exportations to the USA and the Continent (i.e. 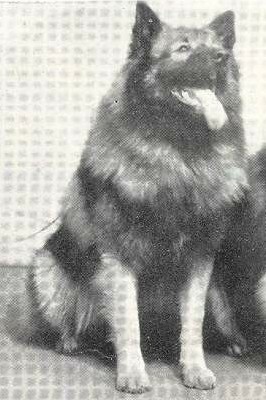 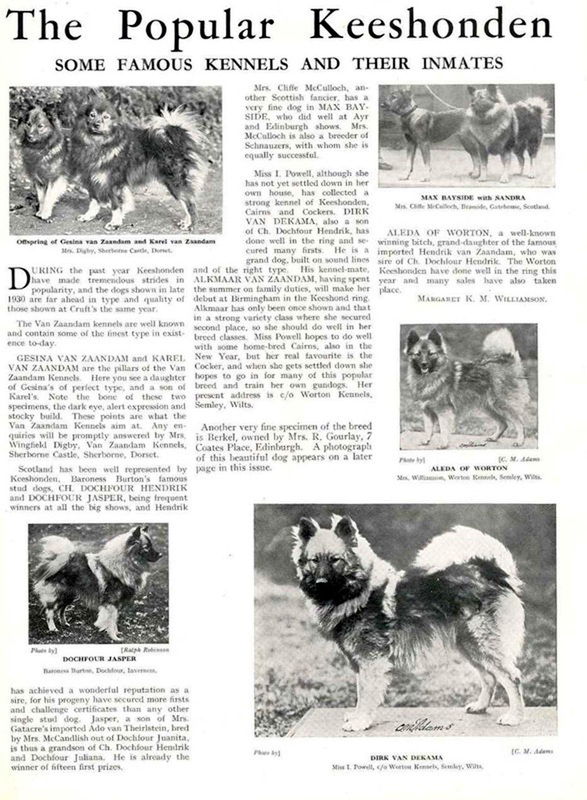 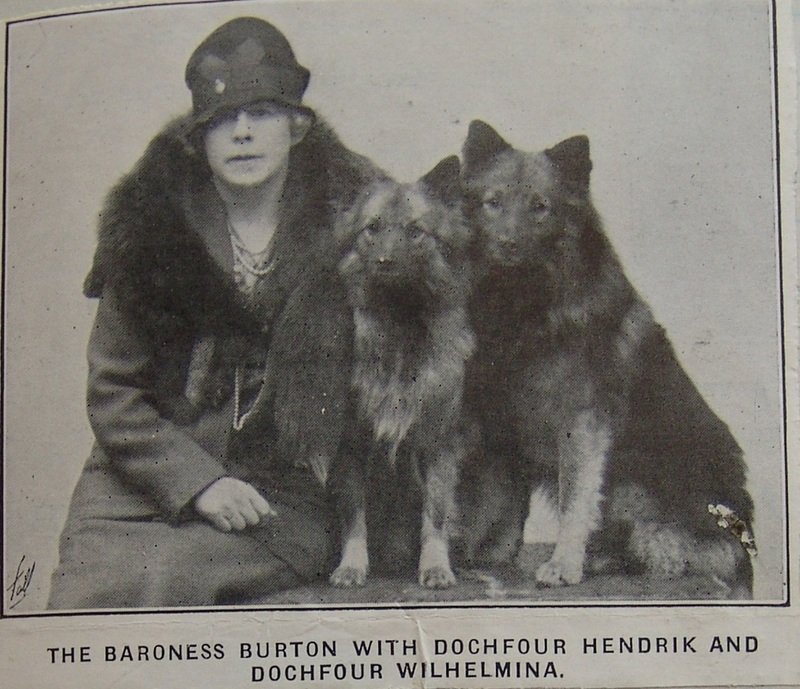 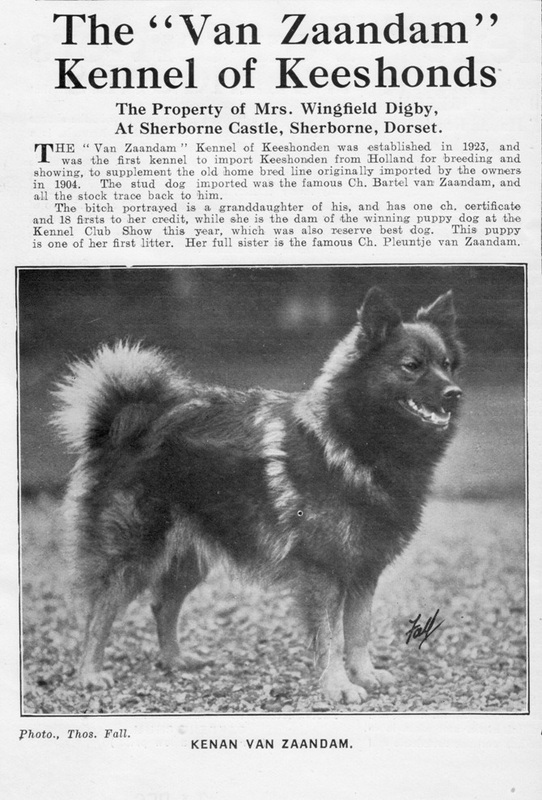 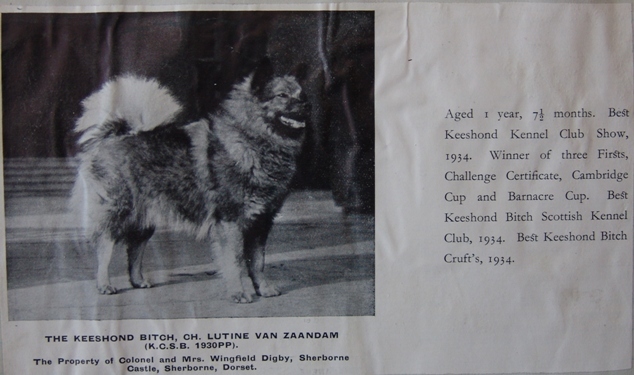 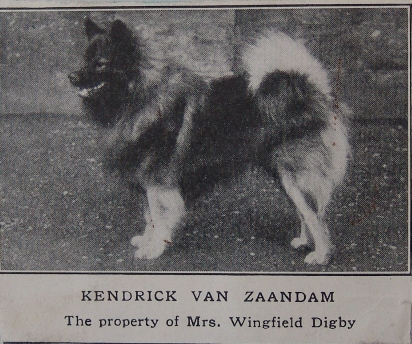 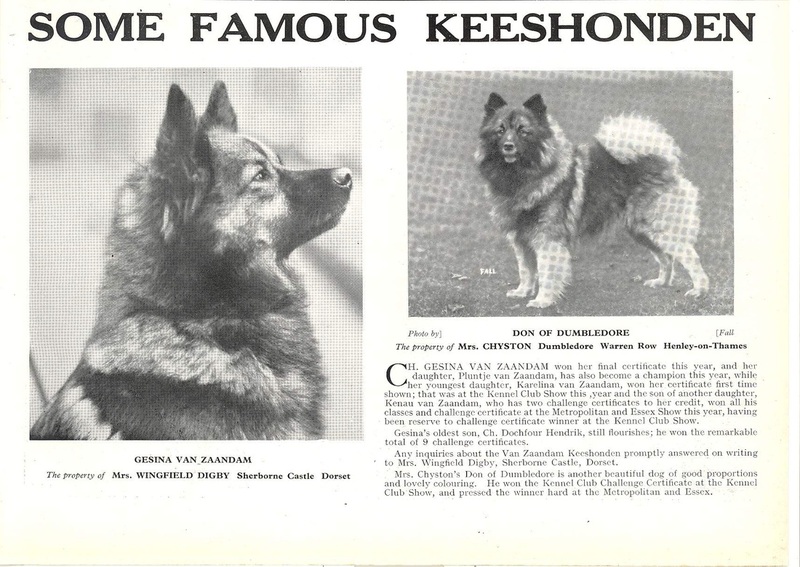 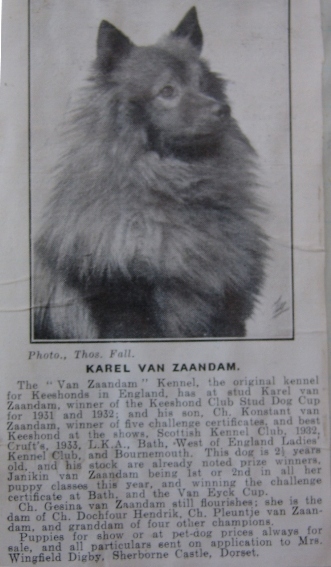 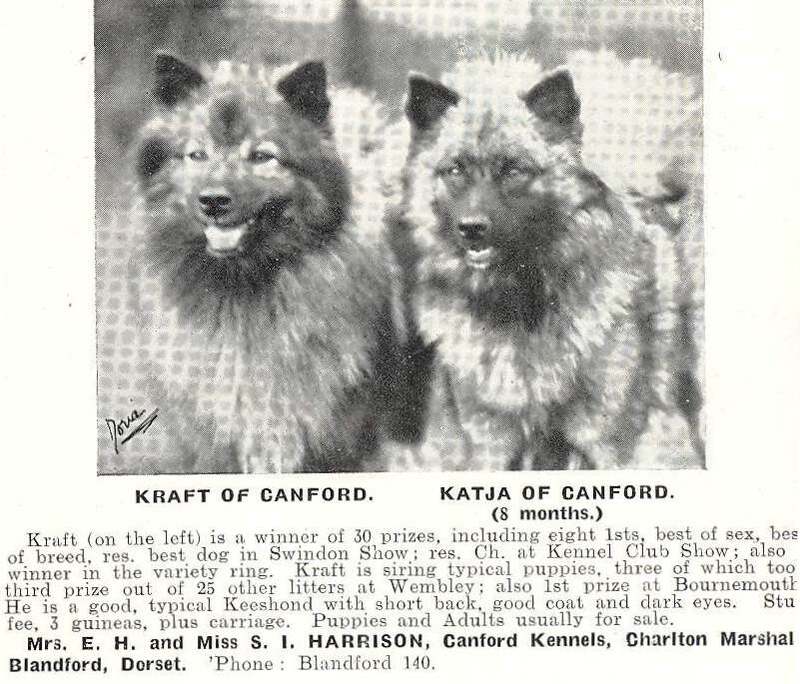 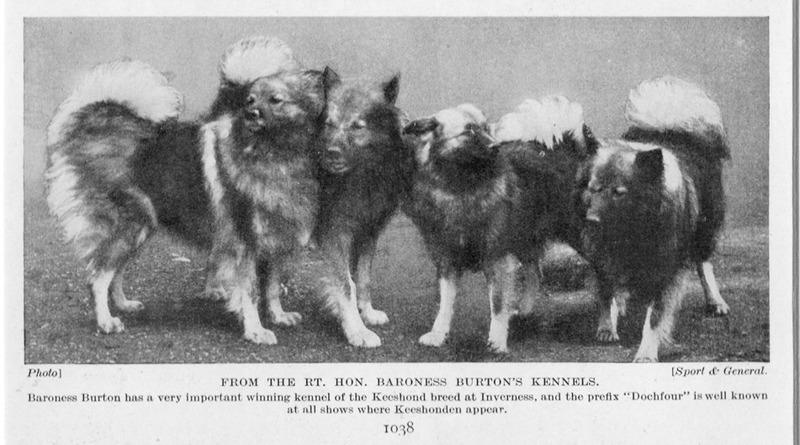 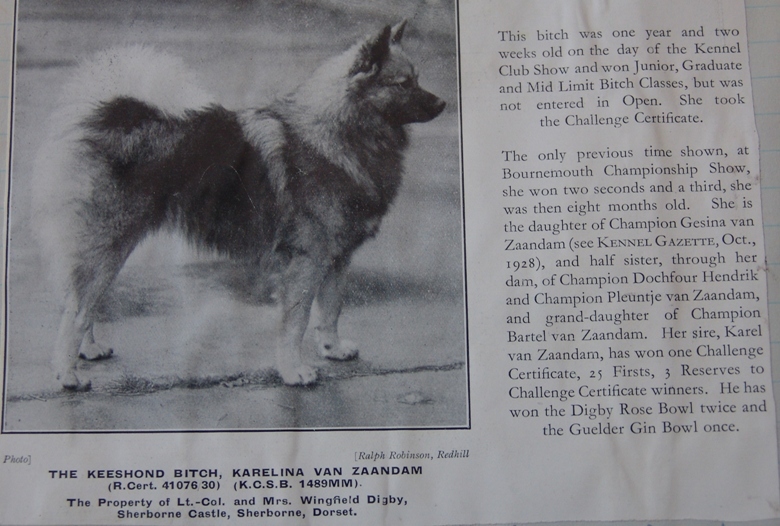 Europe) took place this year.” In 1931 Mrs Morton of the de Witt keeshonds sadly died and the de Witt kennels were dispersed, but Mrs Wingfield Digby’s sister, Mrs Fisher Rowe, had joined the ranks of the breeders. 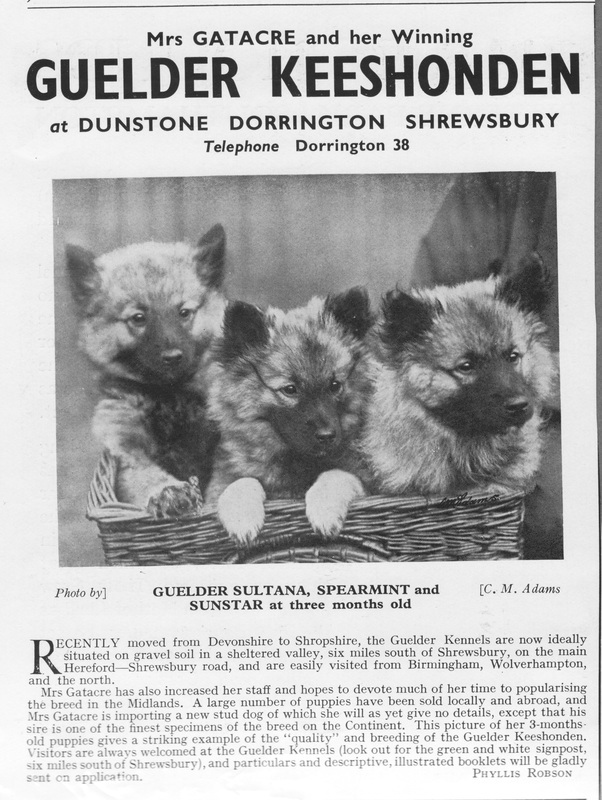 By 1935 registrations had increased to 242 – more than twice the number registered annually in the 21st century. 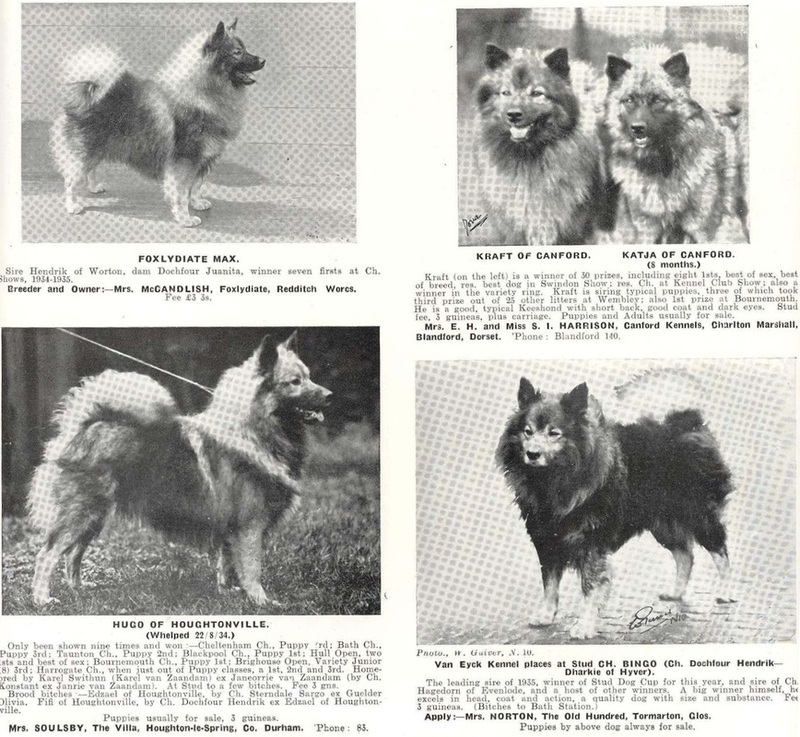 As the end of the decade approached and war loomed there was concern about the future of the dogs. 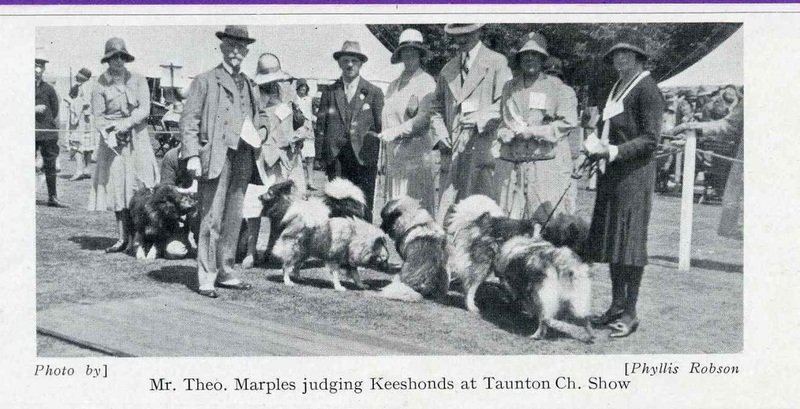 Food was hard to obtain, most shows were cancelled, with only smaller local shows going ahead as people were unable to travel due to fuel rationing and night-time restrictions. 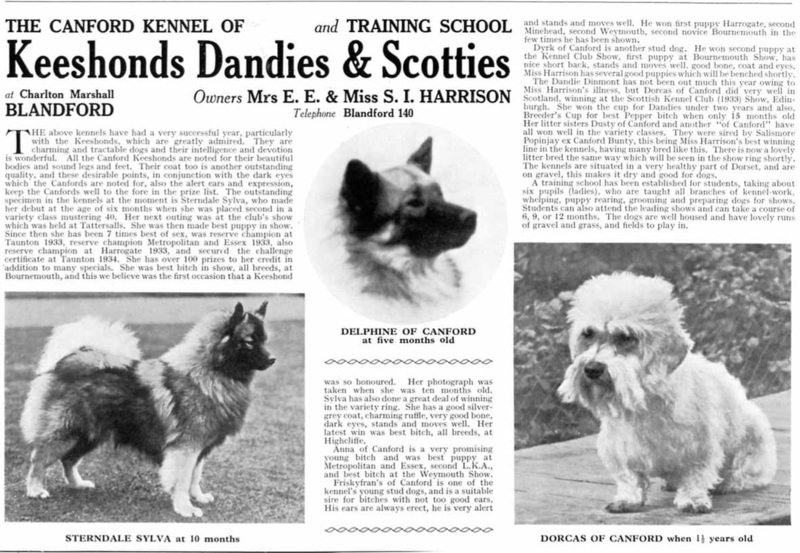 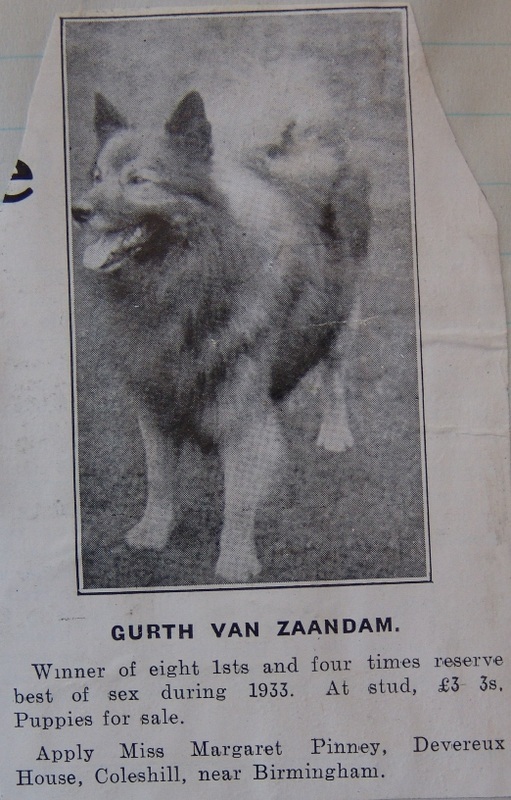 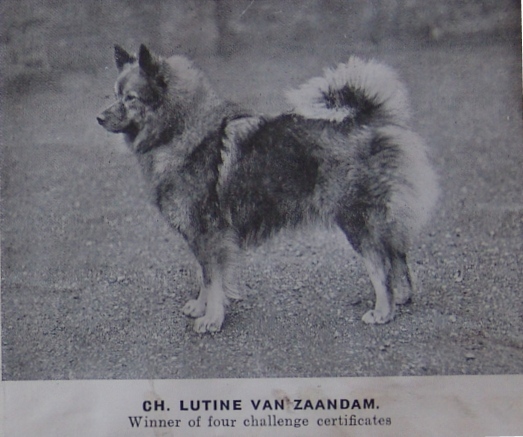 Dogs were found new homes, with only a few being kept in the hope that once the war was ended breeding could continue with the dogs that remained.